Several bits and pieces on how to do the scarf were scattered in my blog posts. But it wasn’t a real tutorial and a few important tidbits were missing. 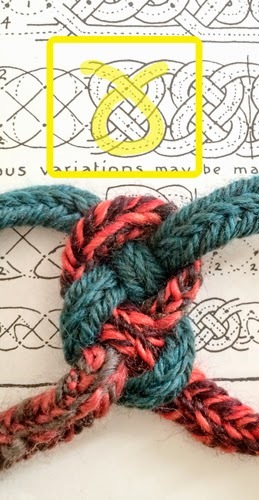 So I’ll write down the process for those who would like to make their own nalbound knotwork items with more complicated knots. 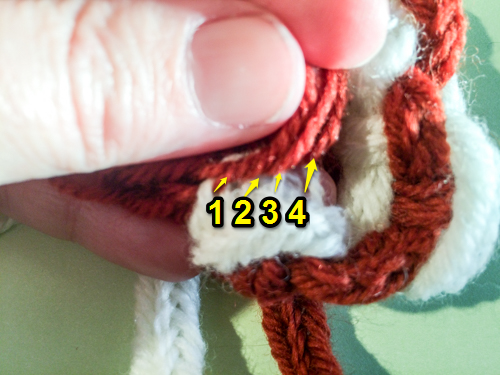 For my examples, I use the Finnish 2+2 stitch. This is the knot style we’ll be working with. (Page 33 of Celtic Art: The Methods of Construction.) 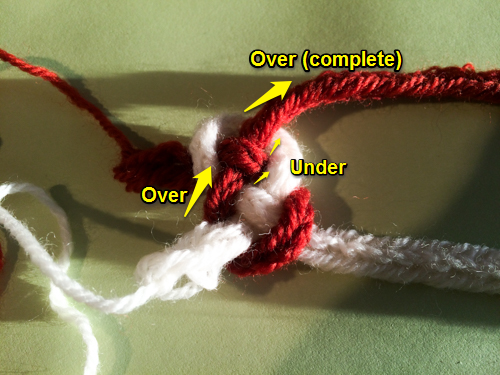 I highlighted one part of the knot in the diagram, so we can easily see the construction. Make to chains of stitches. 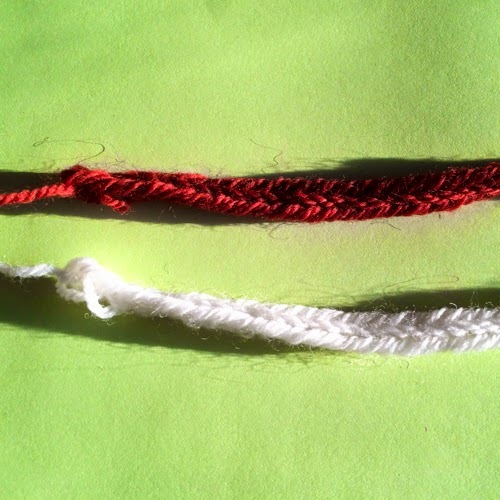 One or two colors of yarn can be used. Make a loop with one chain of stitches. 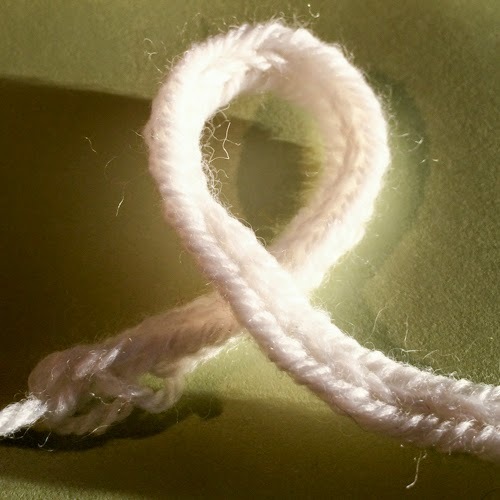 I try not to let mine twist – so my knots are more uniform. Then I place the other chain of stitches under the loop that I just made. Now we’ll start working over and under, over and under until we’ve completed the knot. 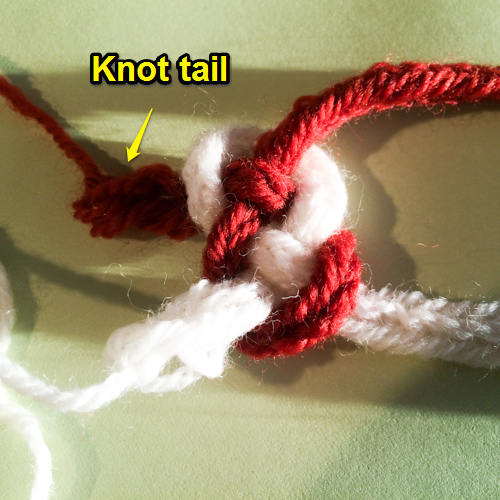 Now make as many knots as you want. The knots do stretch out a bit. 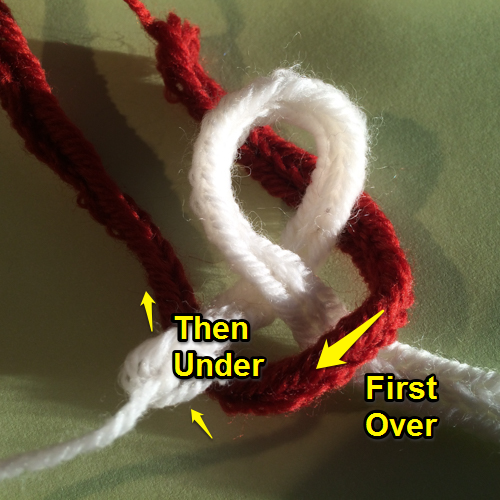 So just know that if you decide to edge the knots, for final item won’t be as long. 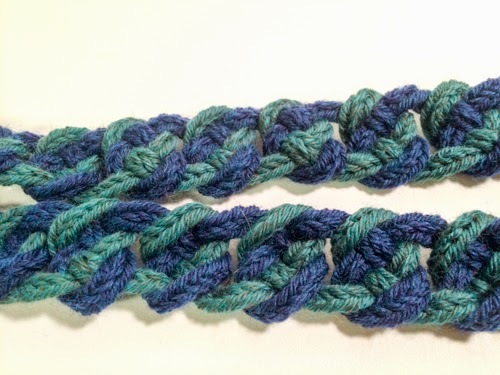 Here are the knots I made for my scarf. I picked up the knot tail and did a stitch or two on it. B) Next, I did 3 stitches in the chain that is between knots. 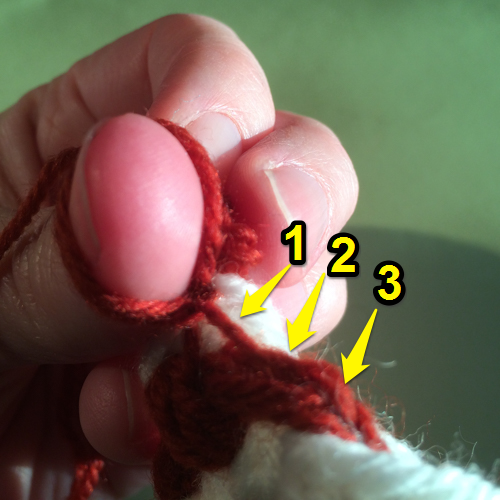 Repeat A and B until you reach the end of the knots. 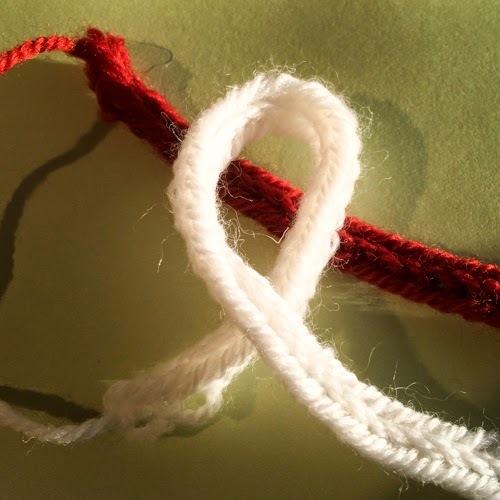 Do a stitch in the tail of the knot. 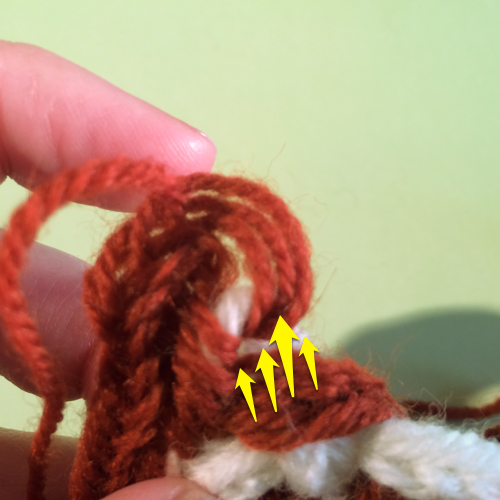 Then in the end of the tail, make 4 or 5 stitches (for the corner of your work). Continue working on the edge of your knots. 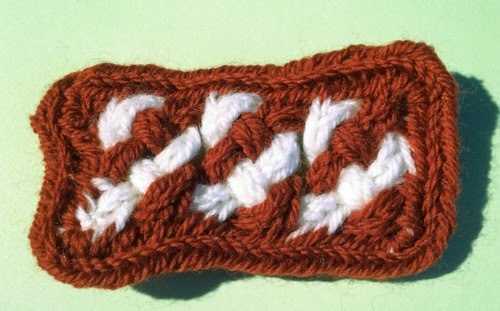 I did about 3 stitches in each part of the loop on the side.